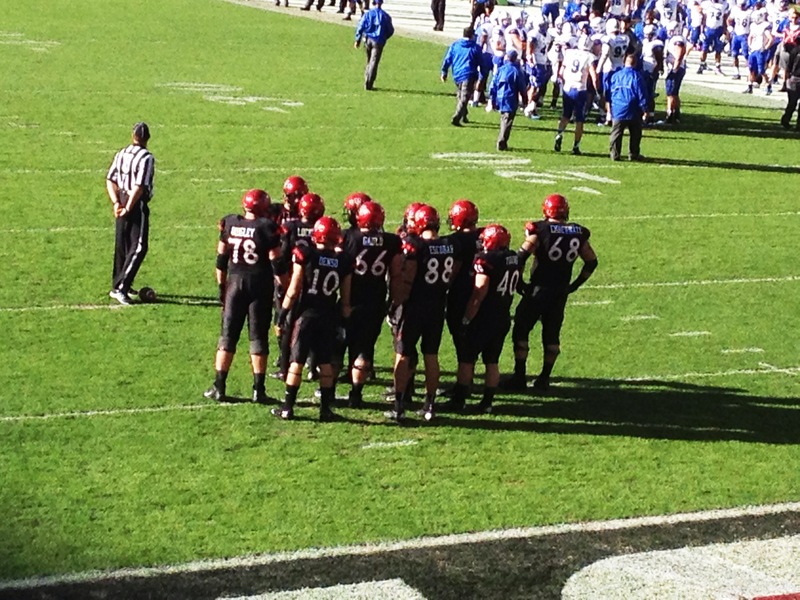 San Diego State will be returning to the Mountain West Conference as the MWC Co-Champions. The team will be returning with out key TE Gavin Escobar and DB Leon McFadden. The Aztecs have reloaded the team with one of the best signing day’s in school history (NSD signees). This is going to be a short article on the Aztecs schedule for next season. We will be posting all of our position spotlights later this spring. The times and television stations of all Mountain West Conference games are still to be determined by the Mountain West Conference. We do however now the locations of each game. The game on September 28th was originally scheduled against San Jose State as the Aztecs had committed to becoming members of the Big East Conference. Due to the Aztecs returning to the conference they were forced to drop the game date because San Jose State is now in the Mountain West Conference. This was the reason San Diego State scheduled WAC opponent New Mexico State in for September 28th. For those who do not know about the Hawai’i rules here it is. When teams travel from main land United States to play at Hawaii the team is given a chance to play one extra game that season. That means that San Diego State has the chance to play a total of 13 games this season not 12. Just because a team has the option to play that 13th game does not mean they are forced to.